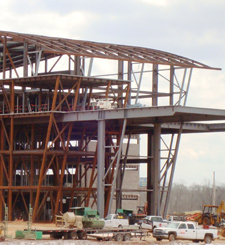 Another specialty design: this U.S. General Services Administration facility features a blast-resistant structure with progressive collapse features to improve the safety of its occupants. 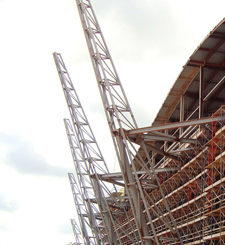 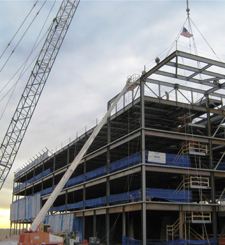 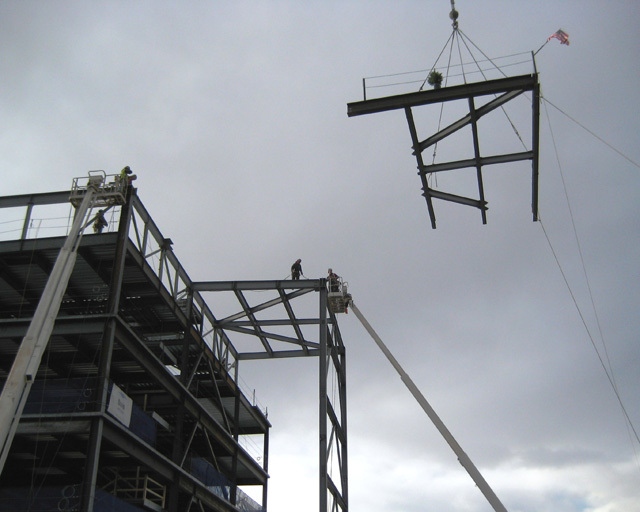 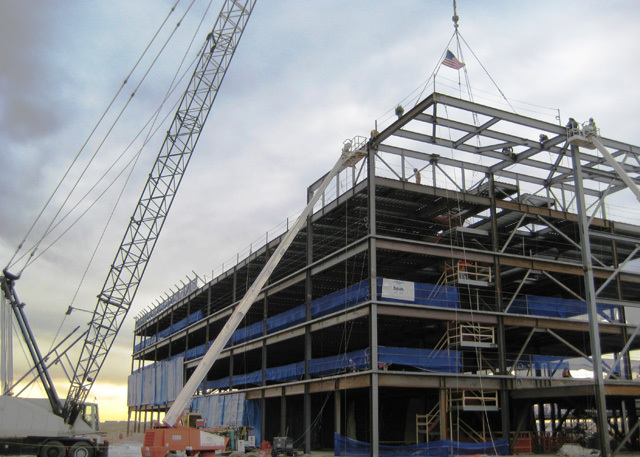 A cantilevered canopy frame was assembled and flown in one piece - a proper event for the Topping Out of this 965 ton project. 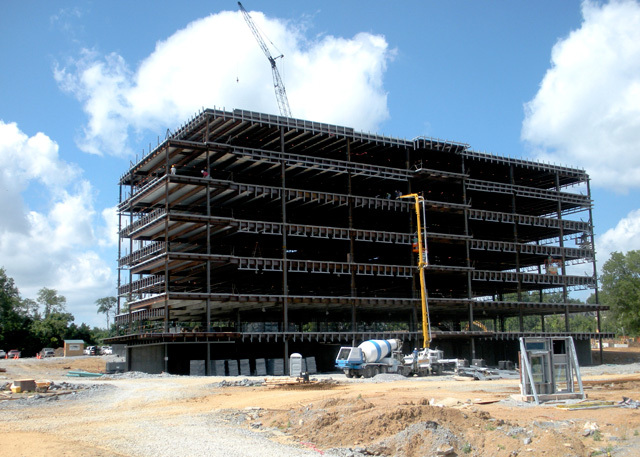 These seven framed floors anchor the McEwen mixed-use development - Franklin, Tennesse's newest walkable work-live-shop community. 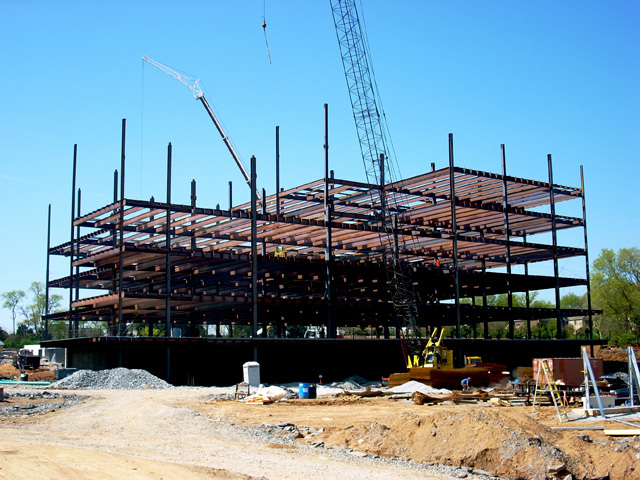 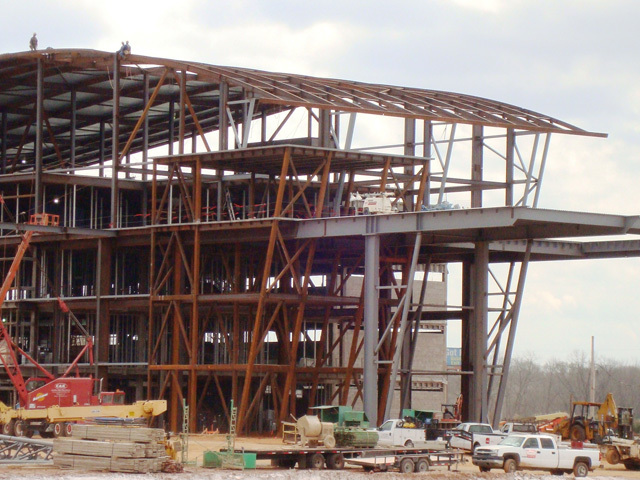 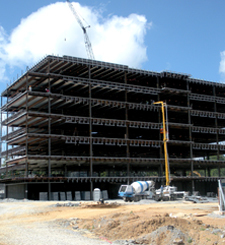 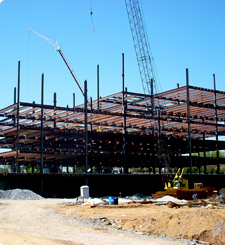 The 1,290 ton structure brings to life almost 175,000 square feet of Class A office space overlooking the Cool Springs district. 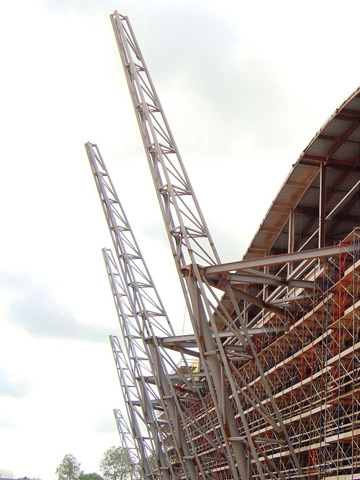 The five sloping, skewed and trapezoidal laced towers form the monumental spires of this structure and were each fully assembled and tested in our shop prior to shipment. 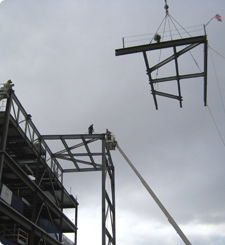 Combined with rolled roof framing with cantilevered floors, this project was as challenging as it gets.